According to the Data & Marketing Association (DMA), social media spending will account for almost 20% of marketing budgets in the next 5 years. Social is an important part of every business’s marketing strategy. It allows brands to connect authentically with their audience and provides a fun, informal outlet to let brand personality and character to shine through. It’s also an ever-changing medium, and it’s important to stay up-to-date with the ever-changing trends and best practices. Not all social media is created equal. Different content types and lengths perform better on Facebook than Twitter, and some platforms encourage hashtags while others don’t. Don’t shy away from adding new content just because you haven’t done so before … it’ll expire in 24 hours, anyway! For more information on creating Instagram (and Facebook) Stories, read our guide here. Influencers play a major role in modern marketing, but their influence isn’t limited to major celebrities and big brand names. Micro-influencers have found their niche in the social media world, too. Micro-influencers are social media promoters that have smaller following, typically between 100,000 and 1 million. These folks might have a smaller follower base, but their posts pack more punch due to their engagement levels. Also, because they’re considered “average” and “everyday” people (unlike hard-to-reach celebrities), people view micro-influencers like friends and family — in that they’re more likely to trust their recommendations. 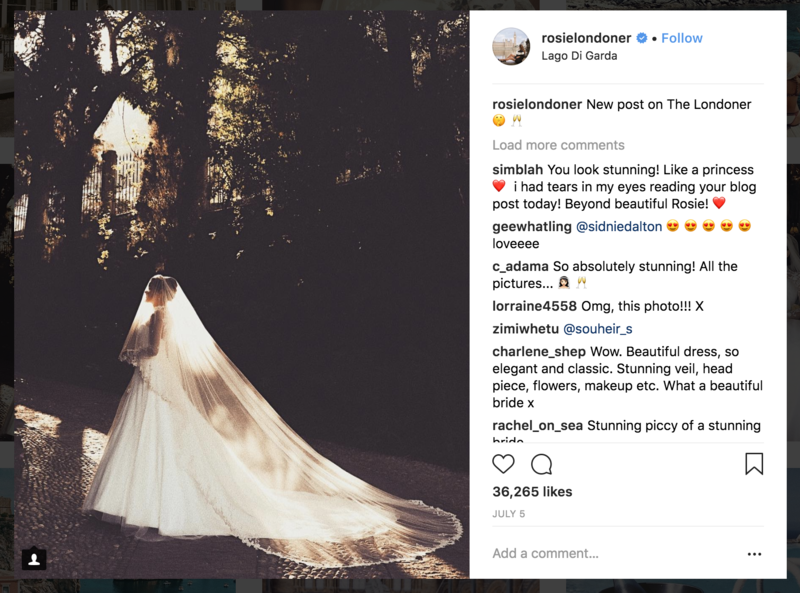 Rosie, known as The Londoner, is a popular travel and lifestyle influencer on Instagram. She only has 340,000 followers, but they’re fiercely loyal and engaged with her posts. The below image shows that: with almost 36,000 likes, Rosie is garnering almost 11% engagement. 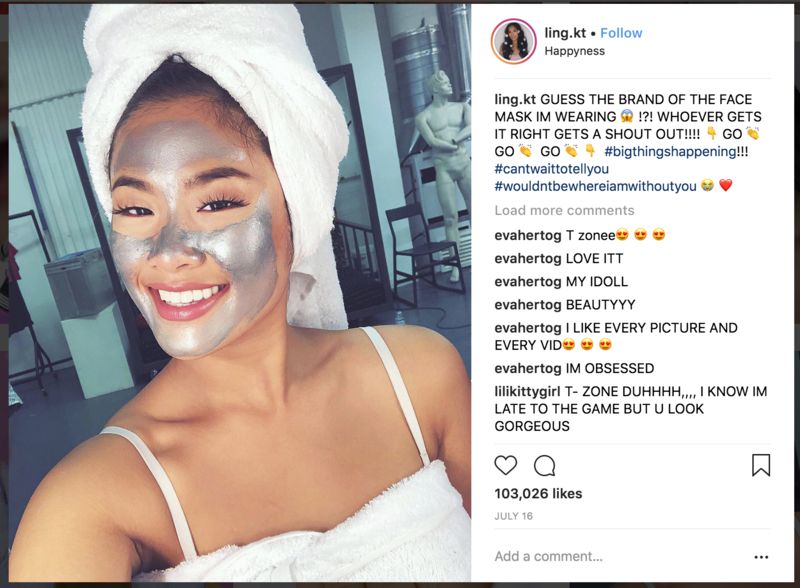 Here’s another example: Non-celebrity beauty influencer @ling.kt only has 1.2 million followers … but it’s a much more dedicated, engaged follower base. In the below image, Ling mentions a brand partnership and receives over 103,000 likes — which is almost 10% engagement. Micro-influencers are the future of influencer marketing. It’s tempting to look at the number of followers to determine how influential a user is, but the true influence lives in engagement rates. Micro-influencers deliver engagement (read: clicks, subscribes, and purchases), drive social buzz through more personal posts, and are much more cost effective. What does this mean for your business? Don’t be swayed by high follower numbers. Instead, hop on Instagram and do some research on who’s active in your industry or niche. Search your brand hashtag and any generic hashtags related to your product or brand. A micro-influencers follower base might be small, but they’re loyal and interested in what that influencer has to say. Paying for a post or two will go a long way with those users.